Competitive markets are driven by active consumers. 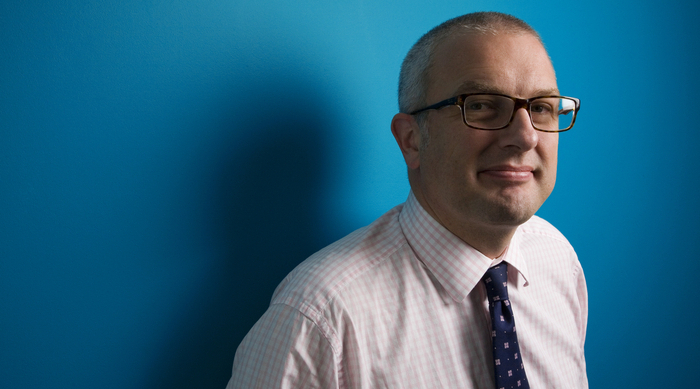 The challenge for the industry is how to get more people engaged and switching while also protecting customers in vulnerable circumstances, says Energy UK chief executive Lawrence Slade. Our data shows that over 600,000 consumers switched electricity supplier in October alone. This takes the total number of customers changing supplier so far this year to over four and a half million. Ofgem’s own figures estimate that around double that number switch their tariff but stay with the same supplier. That’s in excess of 10 million households actively choosing their energy deal each year. This market is transforming – as evidenced by the figures. The ever-growing number of small and mid-tier suppliers has now captured nearly a fifth of the market up from a mere 2 per cent five years ago. There are now nearly 60 suppliers out there – triple the number there were in 2012. So it’s not just about the numbers changing supplier but how the credible threat of losing customers can drive companies to do more to keep hold of them. With the number of standard variable/default tariffs falling by one million in six months and some suppliers pledging to phase them out altogether, change is starting to happen – but it needs to continue. We have to work harder to limit the number of customers that lose out by not participating. Most immediately, this means protecting vulnerable customers who are less able to engage in the market, which is why we support Ofgem’s plans to extend the existing prepayment price cap to 1 million customers in receipt of the Warm Home Discount this winter – and their plans to extend protection to a further 2 million households. In the longer term we need energy efficiency to be a national infrastructure priority so that we eradicate fuel poverty, reduce carbon emissions and prevent people spending money on energy that is wasted through inefficient homes. Suppliers are doing more than ever to help vulnerable customers. Part of the challenge is recognising that vulnerability isn’t always just a financial issue or limited to one group of people. At Energy UK we established the Safety Net for Vulnerable Consumers which sets out measures under which suppliers can define and support vulnerable households through debt management, improved contact with the agencies and charities that can help them – and a pledge never to knowingly disconnect a vulnerable consumer. Energy UK launched a new vulnerability group in January 2017 and that group has already commissioned and launched work on energy & mental health guidance. We anticipate a big year for our vulnerability group in 2018 as we work even harder to get things right for vulnerable customers. Suppliers are working to improve engagement with all customers and developments like the Energy Switch Guarantee – a voluntary industry initiative launched last year whereby suppliers make a series of commitments ensuring that customer switches are simple, speedy and safe – are starting to bear fruit. The smart meter rollout could spark further changes in customer behaviour and engagement. Whilst the government’s planned price cap could mean a one-off deduction for some customers, over the longer term the enduring benefits will come from ensuring that competition continues to grow and making every customer’s home and business as energy efficient as possible – and for that you need active, engaged customers. The numbers show that more and more people are switching on to the benefits of engaging with the energy market. And while we need to protect the most vulnerable customers, we need to make sure that the unintended consequences of government intervention don’t switch people off.